Our kitchen is not as huge and not as upscale as the one you see in this picture but I love our kitchen. It is not as spacious as the kitchen in our previous homes, but I consider it, by far, the prettiest. I like its functionality and style. 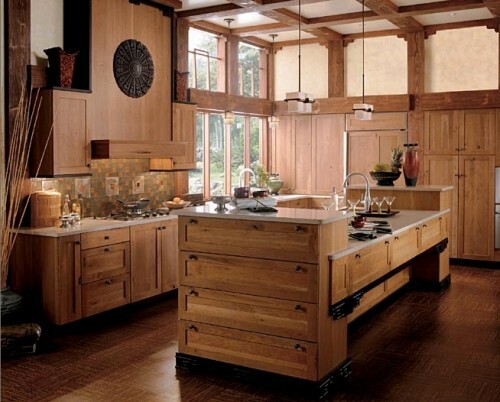 The rustic kitchen cabinets and the brown marble counters give our kitchen a stylish but homey atmosphere. I enjoy decorating our kitchen, making it appealing to the eye and comfortable to work in by avoiding too much clutter and keeping the place sparkling clean and neat.